1400+ attendees…100+ featured companies…80+ sessions…14+ recertification credits…one great time. The 2018 SHRM Talent Conference & Exposition, one of the HR recruitment industry’s most anticipated annual events, is almost here. Join NAS Recruitment Innovation as we descend on Vegas to share our fresh perspectives, leading-edge products and recruitment marketing service solutions. Plan to stop by and say hello. We’ll see you at SHRM! 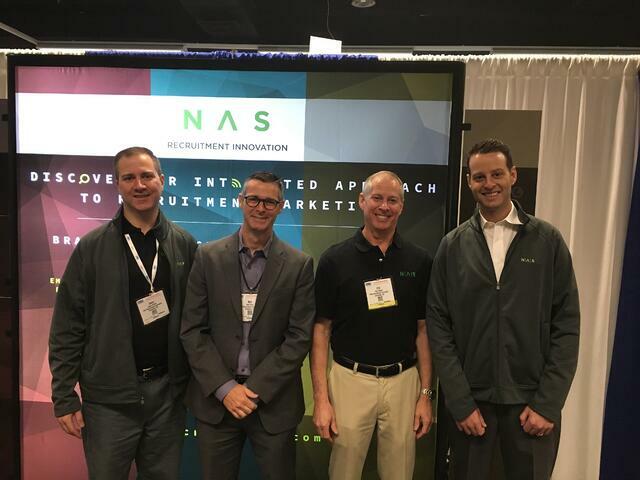 Phil, Matt and The Jasons of NAS were in attendance last week at the 2017 SHRM® Talent Management Conference & Exposition in Chicago (April 24-26), both as exhibitors and hosts of a special reception for our clients and industry contacts. We asked the team to provide a re-cap of the experience and to share their observations regarding the state of talent acquisition and recruitment marketing in 2017. The 2017 SHRM® Talent Management Conference & Exposition is fast approaching. This year’s theme, Talent: Today and Tomorrow, is sure to offer in-depth insight into where we are, and where we’re headed, in the talent acquisition game.